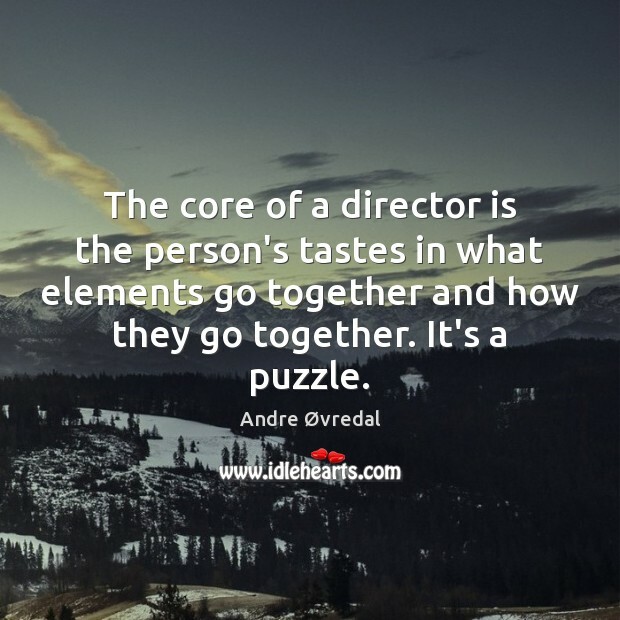 Enjoy the best inspirational, motivational, positive, funny and famous quotes by Andre Øvredal. Use words and picture quotations to push forward and inspire you keep going in life! I want to cast correctly, and then I want them to live on screen. If I cast the wrong actor, I'm screwed. But, if I cast the right actor, it really works out. 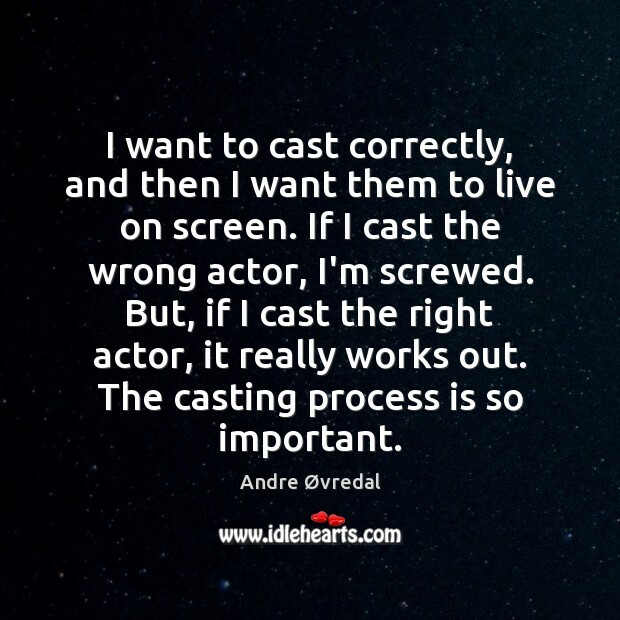 The casting process is so important. I have to be strong about my own tastes because I think that's what the director's job is. 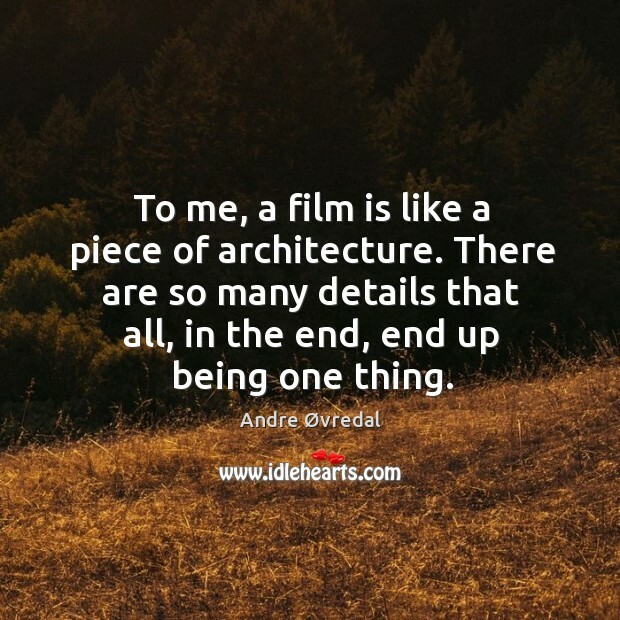 To me, a film is like a piece of architecture. There are so many details that all, in the end, end up being one thing. 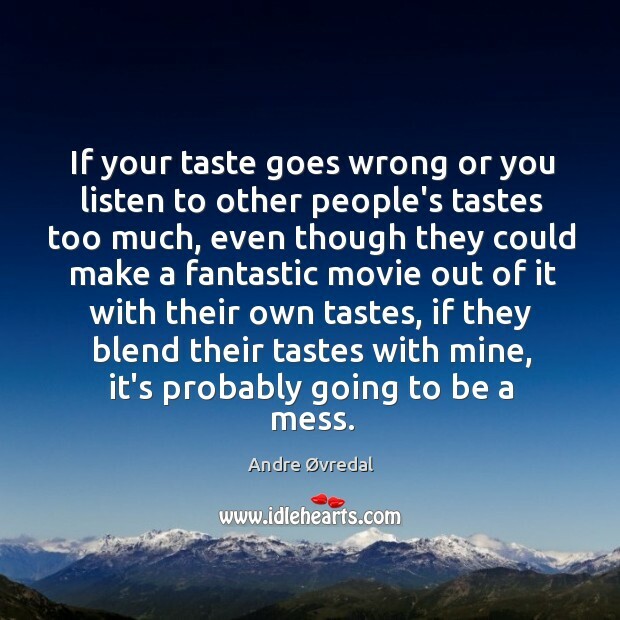 If your taste goes wrong or you listen to other people's tastes too much, even though they could make a fantastic movie out of it with their own tastes, if they blend their tastes with mine, it's probably going to be a mess.